Interactive infographics use animation, navigational elements, and customizable data sets. Interactive eBooks can incorporate audio, video, and animation. Quizzes ask users a series of questions and display results. Calculators allow users to input and manipulate data to view potential outcomes. Interactive video lets users make choices that affect the plot of a short film. We often talk about storytelling in B2B content. But it’s usually in the context of helping customers see what life with our solution could be like, or highlighting success stories. IBM takes the concept more literally in this interactive video. It’s a fully-realized work of fiction, presenting an original story of a power plant operator struggling to bring power back on during an outage. The user has to help the protagonist make decisions (and learn about IBM’s app suite along the way). The true mark of greatness for this piece is it’s compelling even if you know nothing about mobile apps for power plant management. It actually stands on its own while still being relevant to IBM’s target customer. Customer success stories are some of the most valuable marketing material you have. When a buyer is doing research, though, they get repetitive fast: Customer had problem, tried our solution, got great results. NASDAQ livens up their case studies in this animated eBook. Client testimonials zoom in; pages are easy-to-browse with extra detail hidden behind tabs. The layout helps NASDAQ highlight the most important parts of the case study, while still offering depth for interested customers. TopRank Marketing helped create this interactive eBook for DivvyHQ. The challenge for this piece was to present a metric ton of content in an easy-to-browse and compelling format. We chose a lively pop-culture theme to unify the content. Then we focused on strong navigational elements that guide the reader while still allowing them to choose their own path. The result? An instantly engaging piece that encourages readers to explore. 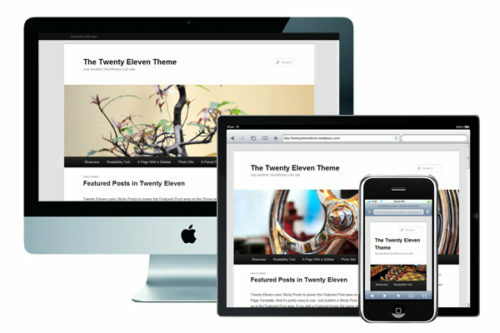 As a bonus, we were able to use the theme for spin-off pieces like blog posts and promotions. Automated tools are the next evolution of assessment-style interactivity. If your solution is web-based, you may be able to show customers specifically what you can do for them. HubSpot offers this web performance evaluation site that has proven to be a powerful lead-generation tool. There’s minimal interaction required — the user puts in a URL and an email address— but the in-depth results are more than compelling. It’s a great example of how to win customers by providing value up-front. Calculators are an often-overlooked type of interactive content. In this case, a calculator helped VenturePact fix a leak in their marketing funnel. VenturePact discovered that price was their potential customers’ number one source of hesitation. Many of VenturePact’s prospects balked at requesting an estimate before they had a general idea of how much the agency’s services might cost. VenturePact’s mobile app price calculator asks detailed questions about a potential product to generate a rough estimate of cost, then invites the user to fill in a form for a more detailed estimate. 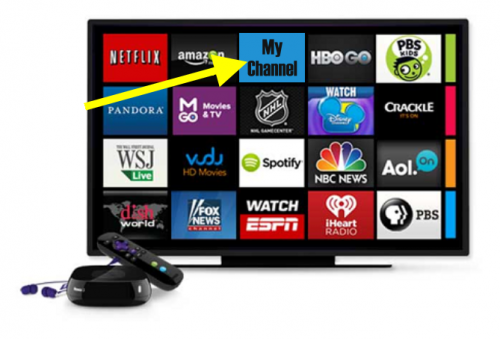 Audio is an under-explored component for interactive content. It’s easy to assume our audience is going to have us on mute. But audio can make content more compelling, especially influencer content. It’s easier than ever to capture audio, with tools like Zencastr. It makes sense to add that component wherever you can. This interactive eBook for our client Prophix uses influencer audio and a computer-generated “virtual assistant” to make the material more compelling. We saw an unprecedented level of interaction with this piece; our analytics showed people were spending a great deal of time and clicking deep into the asset. Read the full case study to learn more about our approach to this interactive content campaign. Lead capture is a balancing act: If we ask for too little data, we could be capturing underqualified leads. If we ask for too much data, people will run away screaming. This Candyland-themed piece from SnapApp—which happens to fall into the interactive content tool category—solves the problem in an elegant fashion. On every stage of the game, you get two to three pieces of marketing advice and one question to answer. The questions are all stuff that’s useful to SnapApp: How big your team is, what your role is, etc. It’s a lot to ask, but the useful info and whimsical experience make it a fair trade for the customer. TopRank Marketing wants to make 2019 the year that boring B2B finally goes extinct. To help things along, we created Break Free of Boring B2B. It has advice from folks like Ardath Albee, David Meerman Scott, Brian Fanzo and more… and laser-powered grizzly bears, sharks, and pugs in sports cars. These examples prove that interactivity boosts content effectiveness no matter what your goals might be. Whether it’s creating awareness, educating customers, driving leads, or attracting talent, content is more engaging when it invites the reader to play along. Speaking of interactive content for B2B brands, our own Lee Odden will be digging into this topic at the upcoming B2B Marketing Exchange conference in Scottsdale, AZ during his presentation: Break Free of Boring B2B with Interactive Influencer Content, which is set for Tuesday, Feb. 26, 2019. 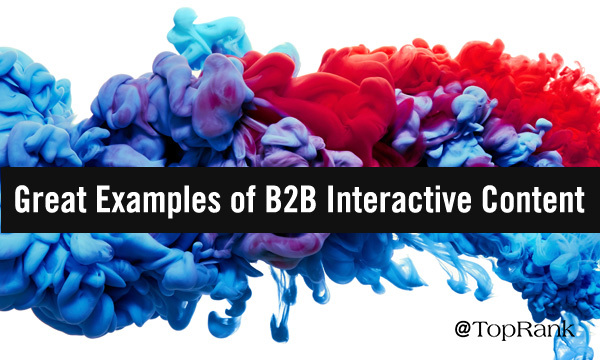 The post B2B Brands Go Bold: 7 Great Examples of Interactive B2B Content appeared first on Online Marketing Blog – TopRank®.